Welcome back to another neon-clad jaunt into the 80’s and the second part of our Dragonball retrospective. (Apologies for the massive delay. Making people, attending a manga course and getting a manga published took up a lot of the year. I has got sorry). It really goes without saying that tonight’s show is one of the best known Anime ever released in the western world. Just mention the word ‘Dragonball’ to anyone and they will likely add a certain letter to the end of that title...and that letter ain’t ‘Y’. 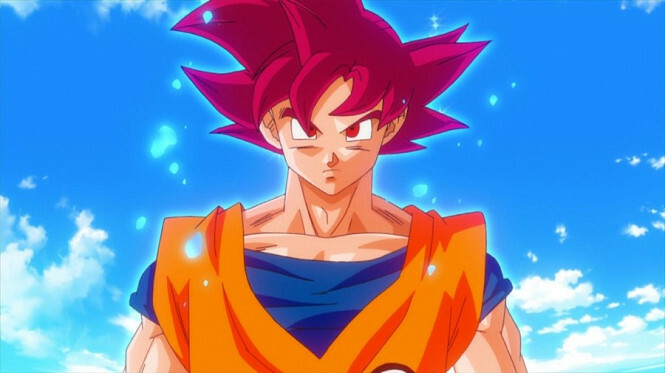 Following on from the tremendous success of the ‘Dragonball’ anime and manga, a new set of story arcs was written for a Goku who had grown up during it’s run. A tie-in anime was also planned with this change which saw the manga retain the original ‘Dragonball’ name, while the anime’s title was slightly altered. In 1989 the Dragonball anime came to its conclusion to make way for the world’s first showing of Dragonball Z. If it is in any way possible that you have come to this site and somehow don’t know what Dragonball Z is about, then please allow me to summarize for you- (honestly though, you should know this show). Dragonball Z followed the continuing adventures of Goku and his friends, while they used their magical strength and ability to fight off various evil threats. There would also often be a sub-plot to find the Dragonballs yet again, usually because someone has died….again (Krillin). Kame House: Eternal container of cast members who don't seem to matter anymore. Dragonball Z for the most part followed this format throughout its impressive 7 year run. This anime was distinctive from both its predecessor and other anime in terms of how successfully it had broken into the western market in the early to late 90’s. Starting off with Funimation’s acquiring the English language licence for the show in 1995, and their subsequent dub, Dragonball Z’s English version was an instant hit for Cartoon Network, which led to knock-on distribution throughout the English-speaking world by the end of the 90’s. Apparently blue is the least racist colour. Who knew? It’s important to consider that by the mid 90’s anime was still very much a niche market in the western world (more so than it is now), and for an anime to actually spread like this was extraordinary. The result was that Dragonball Z was among the first anime to truly break into western pop culture. The ‘Z’ addition to the title is said to have come about due to Akira Toriyama’s desire to finish up the series. Thus he added the final letter of the alphabet to Dragonball’s title. But what did ‘Z’ have going for it that made it so successful in the West? There are several probable reasons, but my fav is the fact that it was one of the few shows around at the time that took cartoon violence and then put it into over-drive with shape-shifting monkey-men, crazy flaming mood-hair and of course a good old fashoned ‘Kame-KAME-HA! !’ If you wanted a quick shot of extreme battles with very little plot to get in your way, Dragonball Z made itself the ideal gateway drug to other anime. It wasn’t devoid of faults however. Unlike the Original Dragonball, which spent some time on ensemble stroytelling and questing; ‘Z’ didn’t really have that. Much of each season had a knack of focusing on a single battle story, with the originally fleshed out cast of characters mostly relegated to ‘cheerleaders’ sitting on the sidelines (often Kame-House). For people like me who like good storytelling, this made for a less fulfilling show. The main reason ‘Z’ spent soooo much time on singular battles or villains was down to Akira Toriyama being unable to make the manga fast enough. In an interesting twist, the anime was being created too quickly, and thus they had to play for time. That is the the reason why a single plot-point (such as a battle) was spread over a whole season. Eventually after 7 very successful years Dragonball Z finished its origianl run in 1996, leaving behind it a legacy which we are still taking stock of. Dragonball Z introduced an entire new generation of viewers about a new and interesting genre from Japan and presented a more male-oriented show from that genre, compared to the other big anime offerings of the time. ...and those offerings are something we will tackle next time. In 1996, if you knew about Dragonball Z, then you probably knew about another anime. An anime that would define its own genre like no other. She was apparently a ‘Pretty Solider’, she went by many names, and in the horrible English dub-intro….she was the one named “Sailor Moon”.